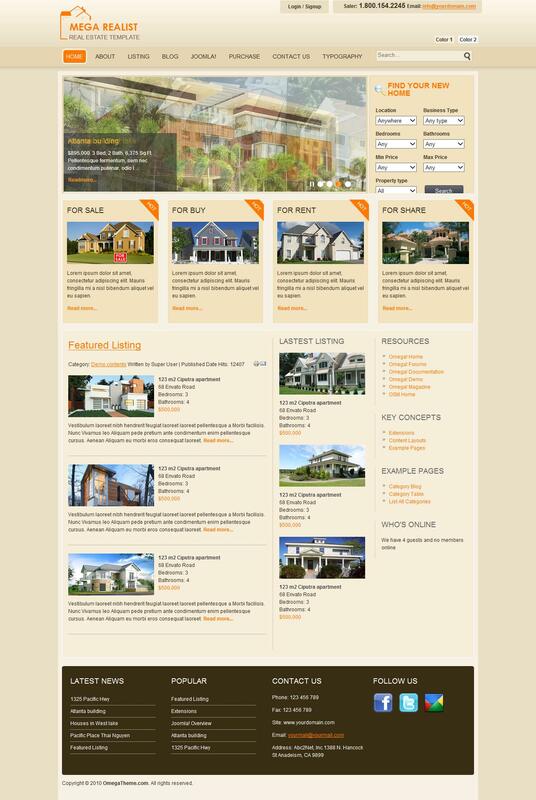 OT Realist - fresh template from the famous studio OmegaTheme on real estate. Pattern works on the framework, Solid Framework, has a special search module, 2 color schemes (blue and yellow) and contains 17 module positions. Additionally, the template has a stylish and functional slider images, as well as adaptation module for social networks. Compatible with all browsers and version Joomla 2.5.